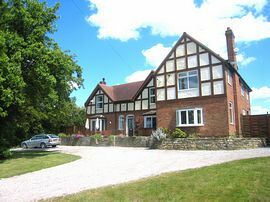 A large country farmhouse ideally suited for groups of 10 to 16 persons for family celebrations, group holidays, special events, conferences, hen parties or any special occasion. A stunning property with 6 spacious bedrooms Two Bedrooms have en suite showers and there is also an additional bathroom and an additional shower room. All bedrooms have Freeview. A Luxury drawing room, with large plasma TV and Full Sky TV. A Farmhouse dining room with a table seating 16, snooker room and well equipped farm house style kitchen/breakfast room all add to the luxury of this delightful property. 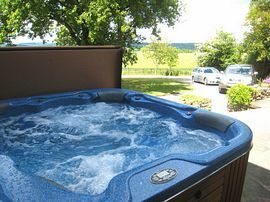 A large south facing patio with hot tub and magnificent views compliment the house, creating a relaxing lifestyle. Arden Hill Farm House is a beautiful property in a countryside setting with magnificent grounds & gardens and far reaching views over the rolling countryside. Walking is an absolute delight with an abundance of wildlife, a natural environment with historic tracks and canal towpaths in the near vicinity. There are numerous local pubs and gourmet restaurants. Stratford upon Avon with its numerous Shakespeare Attractions is a short drive away. Many groups like the extra luxury of booking caterers, entertainments, beauty therapists and even a marquee can be erected for that special event. Everything You could possibly need is provided. Smoking is permitted outside the property. Lovely secluded gargens, complete with patio area, Luxury Hot Tub and lots of parking. The views from the house are spectacular. Local Services: Nearby is Stratford-upon-Avon, famous for the Bard, William Shakespeare and the world renowned RSC. Guided bus tours and boat trips on the river Avon are very popular, as are the specialist and antique shops. For Shakespeare enthusiasts there are 5 historic properties to visit. Historic Warwick with its famous castle and the beautiful Cotswolds villages are only a short drive away. The National Exhibition Centre, the National Indoor Arena and the National Agricultural Centre are all within easy reach. Available locally are golf, horse riding, fishing gliding, ballooning, cycle hire and spa facilities. 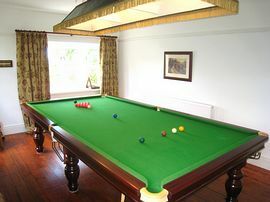 In all a perfect luxury holiday house in the centre of England. Arden Hill Farm - is at the end of the driveway, pass through the gate, then follow the drive around to park in front of the House. You have arrived at your holiday destination. 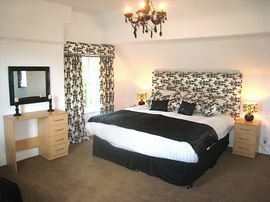 Arden Hill Farm House is available exclusively for your pleasure and prices range from only £1995.00 for a weekend break. Amazing Luxury at an unbeatable price! 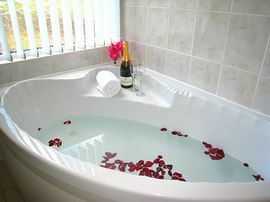 This Luxury House is available for large house parties, conferences, family holidays, group holidays hen parties etc.